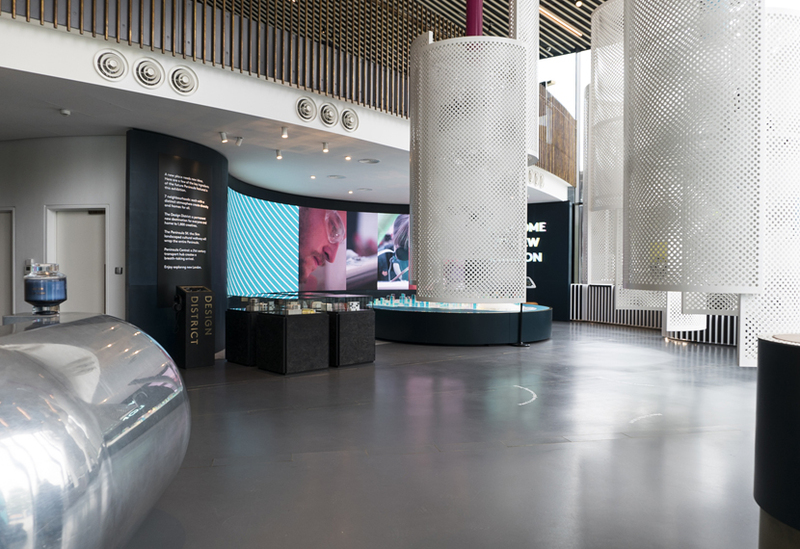 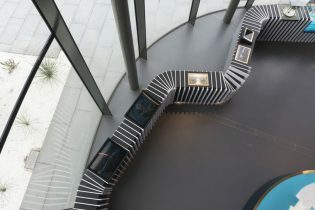 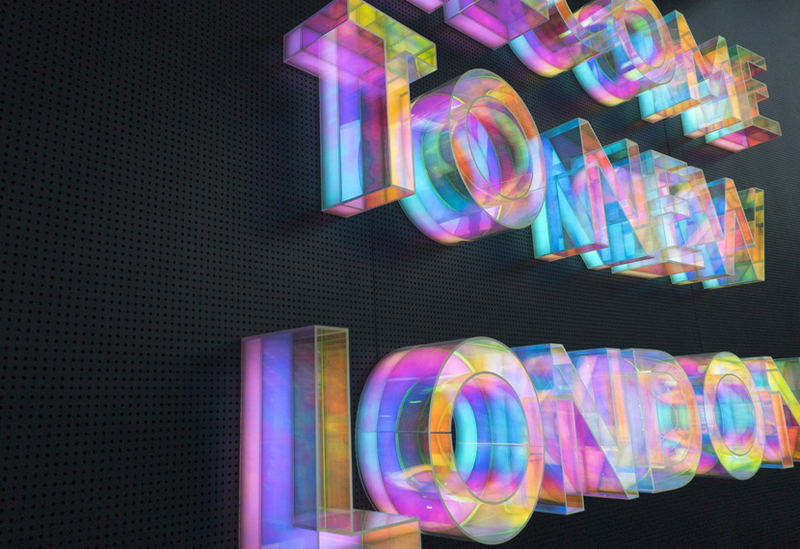 A palette of subtle, high-spec materials, finishes and details created this stylish and informative exhibition space. 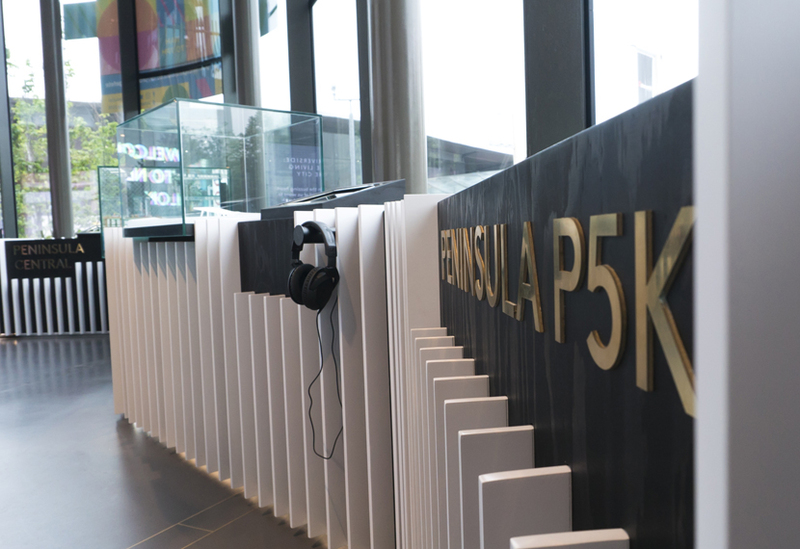 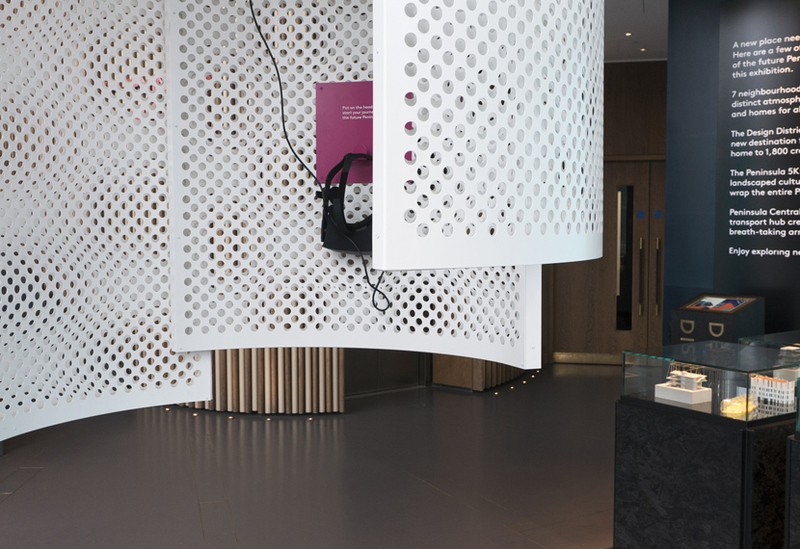 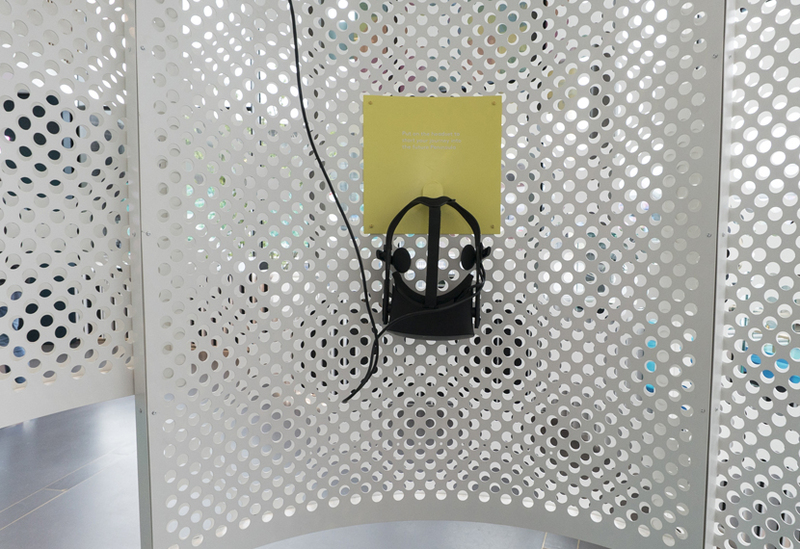 Wood, perforated steel, brass and leather were used in a series of distinctive features including a striking 12m-long ribbon-like plinth, enclosed virtual reality drums, curved-wall video presentation area and Ambassador’s Desk. 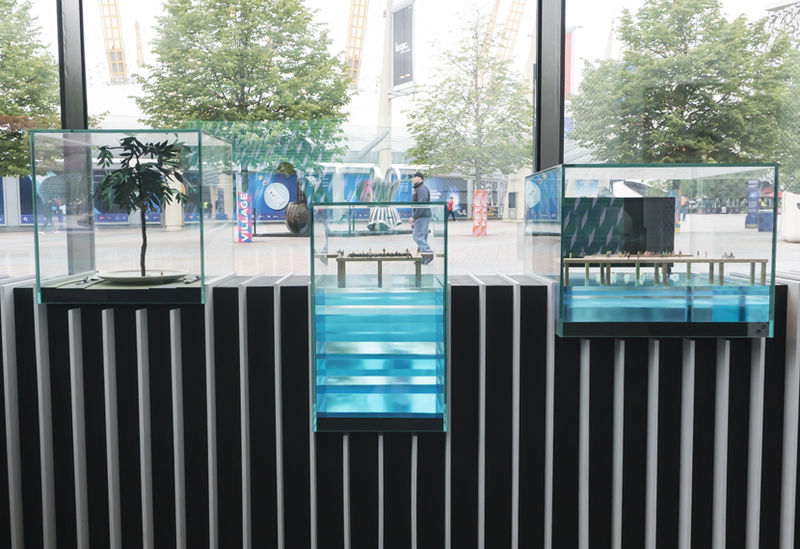 The 12m long P5K plinth was made from contrasting dark stained timber and fins of birch ply. 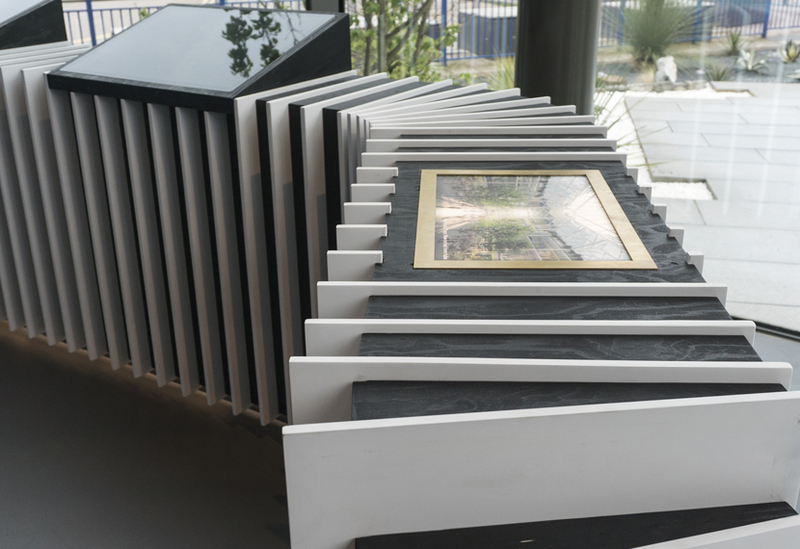 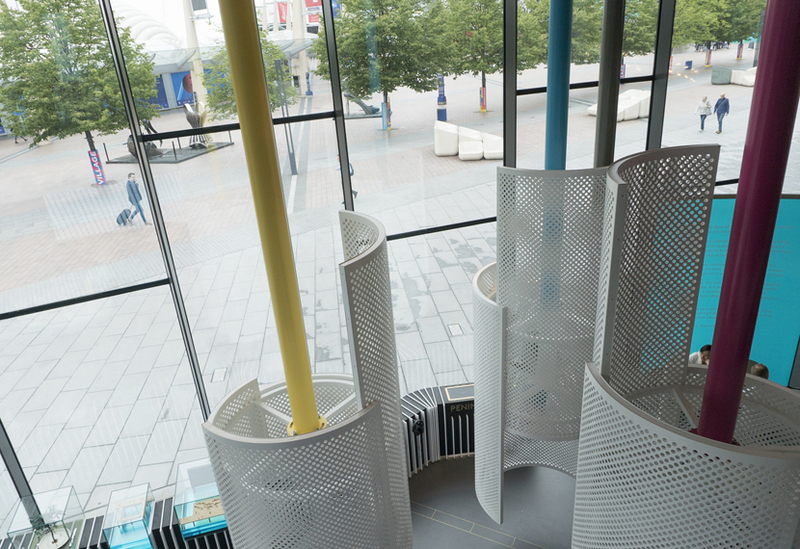 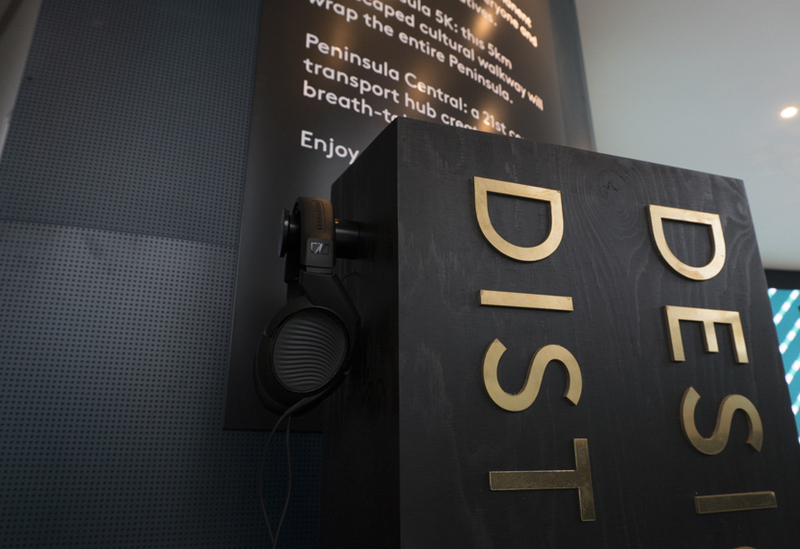 Inset with a range interactive features, the plinth provided insights into life in the different sectors of this new development. 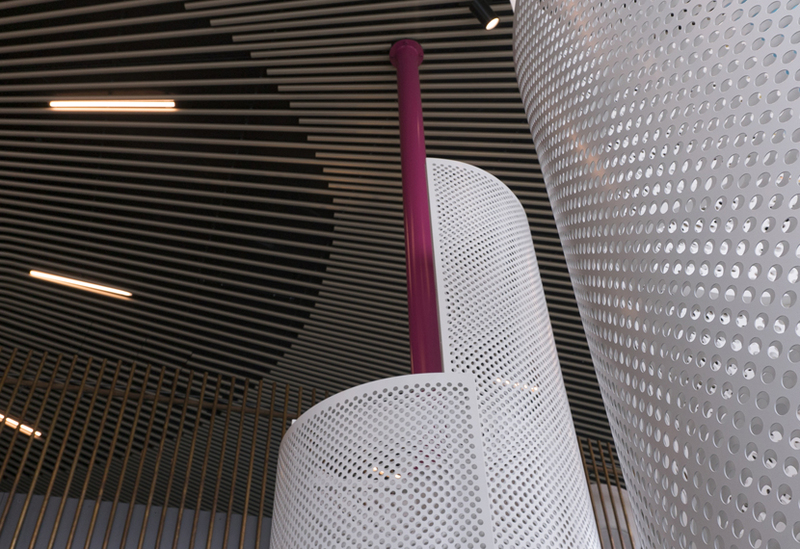 Three VR drums were manufactured from overlapping curved panels of perforated steel and suspended from the ceiling with bespoke fixtures. 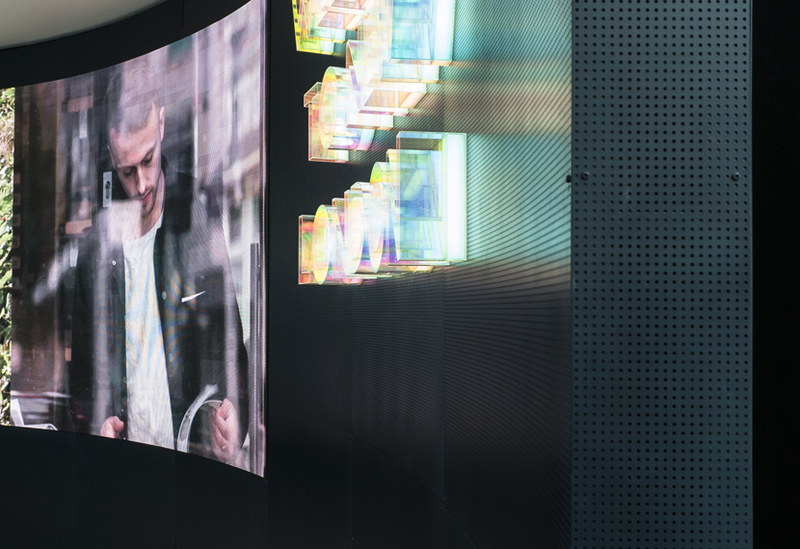 Deep blue-green perforated steel was used to create a large curved surround for the LED video screen, extending each side to form a backdrop for welcome signage and four glass-topped Design District plinths. 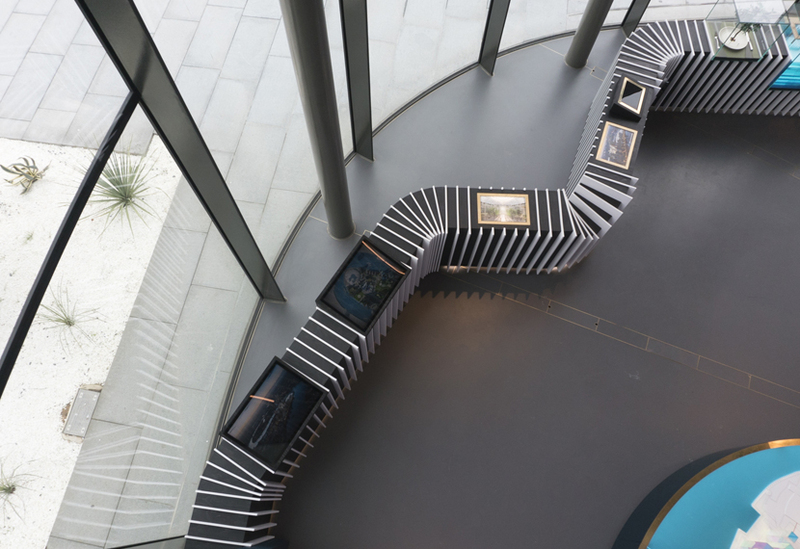 The high standard of finish and precise attention to detail was key to the successful delivery of this project. 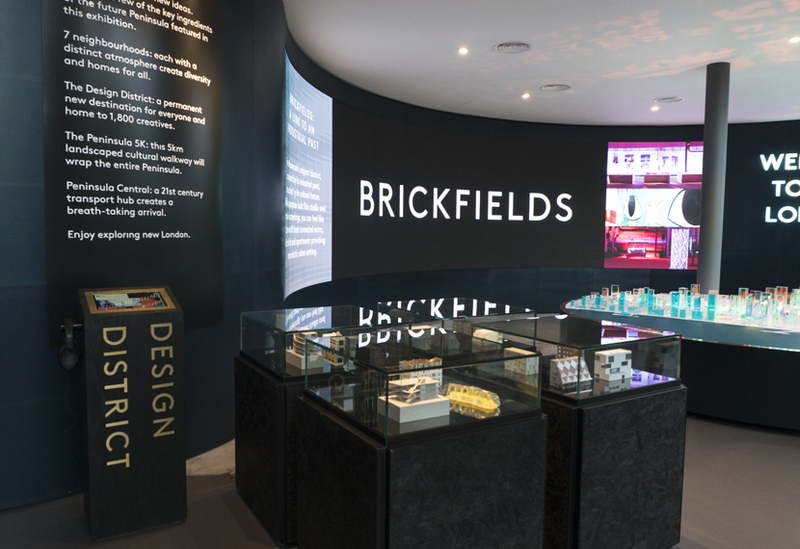 From production to finishing to site installation, our team ensured the high-spec and stylish design intent was reflected throughout.